Today I will be at the Auckland Council Planning Committee watching the Councillors and Independent Maori Statutory Board ratify the Auckland Plan 2050 after a couple of year’s solid work getting it to this point. When the Auckland Council and Super City was formed in 2010 it was required by the establishing legislation that a spatial plan be created – a spatial plan being the master planning document that outlines Auckland’s goals, aspirations, demographics, transport and land use. The Auckland (Spatial) is the master document that influences all other documents such as the Unitary Plan (land use regulation) and the Long Term Plans (master budget documents). The Auckland Plan is required to be refreshed at regular intervals with the first refresh due six years after the initial Plan went operative in 2012. This refresh is called the Auckland Plan 2050 and having being briefed, submitted and writing on it since I was first aware of the refresh a year ago reaching to where we are today in the Planning Committee hard efforts had paid off. To adopt the Auckland Plan 2050 (Attachments A and B). In March 2017, the Planning Committee agreed to refresh the Auckland Plan to ensure it is fit for purpose for the next 30 years, able to meet Auckland’s key opportunities and challenges. A draft plan for consultation was developed under the direction of the Planning Committee and with the input of key stakeholders. There were very high levels of interest in the plan, resulting in over 18,700 written submissions and over 5,800 “in person” feedback points during the March 2018 formal consultation period. During this time, work was carried out with central government to build a deeper understanding of what is needed to ensure Auckland grows in a way that meets the opportunities and challenges of the future. This work has helped to achieve greater alignment and to ensure the Auckland Plan 2050 reflects the council’s and the government’s priorities. Feedback from the public engagement and the work with central government has informed the final plan. There was general support for all outcomes and the Development Strategy. There are a range of text changes proposed to clarify and give greater emphasis in response to specific feedback points. A more substantive change includes the development of a new “quality of life” focus area under the Belonging and Participation outcome. Changes are proposed in the Development Strategy with regard to development areas and their timing. There are also proposed changes to meet the National Policy Statement on Urban Development Capacity. 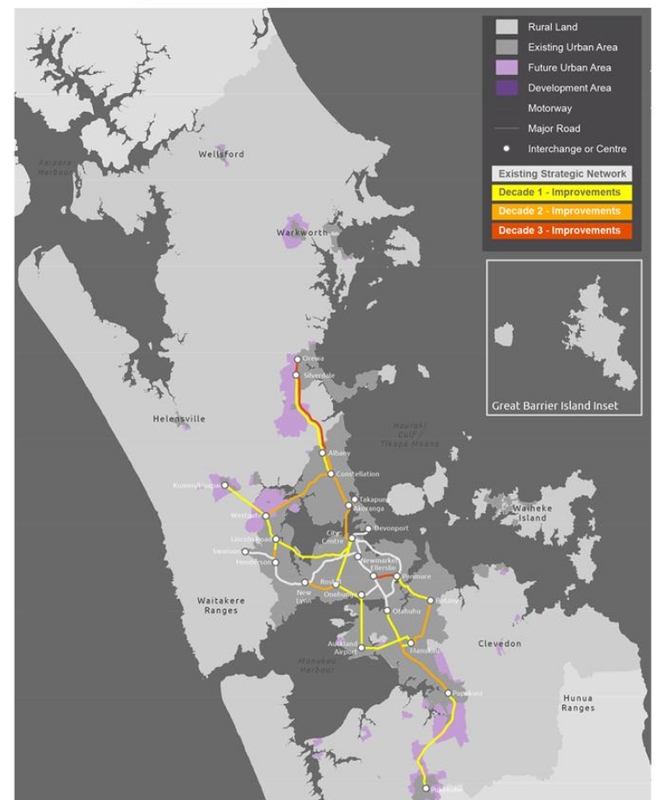 The Transport and Access outcome reflects the 2018 update of the Auckland Transport Alignment Project. There will be a range of activity as part of the completion of the Auckland Plan 2050 including finalising the digital plan and “closing the loop” with submitters and key stakeholders. In the second half of 2018, staff will seek the Planning Committee’s approval for an implementation framework and priority initiatives for implementation. Immediate work will focus on the monitoring and reporting framework and will include the preparation of a baseline monitoring report for the 33 measures in the plan, and the development of a set of core targets in collaboration with central government. Auckland Council is legislatively required to develop a spatial plan for Auckland and must involve stakeholders and partners in its preparation. The first Auckland Plan, adopted in 2012, made a commitment to review the plan after six years. This recognised that whilst the Auckland Plan had a 30-year horizon, rapid change and growth was likely to result in new challenges and opportunities which would need to be reflected in the plan. In March 2017, the Planning Committee agreed to refresh the Auckland Plan as a streamlined spatial plan, and to create a digital platform for the plan (resolution number PLA/2017/30). The Planning Committee and local board chairs provided direction to the development of the draft plan through a series of workshops during 2017. There were also two main stakeholder engagement phases (May to June, and July to October) to inform the preparation of the draft plan. The results of this engagement were reported to the Planning Committee on 1 August and 7 November 2017 respectively. The Planning Committee approved the draft plan for consultation on 28 November 2017 (resolution number PLA/2017/152). This enabled the full development of the digital Auckland Plan to be completed to support consultation. Formal consultation under the Special Consultative Procedure took place from 28 February to 28 March 2018, alongside the draft 10-year Budget. The material to support consultation was available online and in libraries, service centres and local board offices. It included a combined Auckland Plan 2050 and 10-year Budget consultation document, the draft Auckland Plan website (the digital plan), an overview document with translations, and full print versions of the whole draft plan. Feedback was provided in writing (including via an online feedback form), in person (over 50 Have Your Say events) and via social media. Attachment C (Consultation overview) provides a snapshot of the volume and breakdown of submissions and the demographic profile of submitters. Of note,Māori accounted for 10 per cent of submitters, a significant increase from previous similar submission processes. The proportion of submissions from those identifying as Asian was also significant at 19 per cent, an increase of six per cent from previous similar consultation processes. Data on the rainbow community and the disability community were collected for the first time with around 4 per cent of submitters identifying with each of those communities where demographic information was provided. Submitters were also able to identify as gender diverse (1 per cent) for the first time in a council submission process. The consultation document included a statement capturing the essence of each outcome and the Development Strategy. The question following the statement asked whether the proposed focus areas would address the key issue identified for each outcome. For the Development Strategy, the question was whether the proposed approach for enabling growth would effectively provide for Auckland’s future. The feedback form asked submitters to indicate support (yes, partial, no) for each of the consultation questions as well as providing free-form feedback. All feedback was processed, coded and analysed. Staff prepared briefing reports on the front section of the plan, each outcome area and the Development Strategy to support discussions at Planning Committee workshops on 3, 10, 14 and 28 May. Local board chairs and advisory panel chairs were invited to these workshops. In addition to feedback by individual outcome, staff presented on key feedback themes occurring across multiple outcomes. These included arts and culture, sport and recreation, built heritage, and the use of targets in the plan. It is important that Auckland Council and central government work together to ensure Auckland grows in a way that meets the opportunities and challenges of the future. 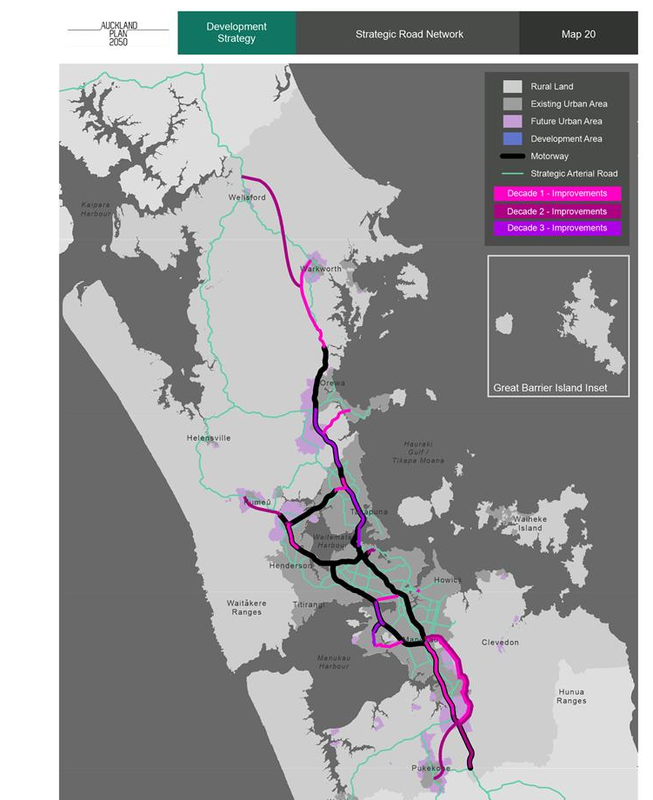 During the consultation period, council and council-controlled organisation staff worked with central government officials to build a deeper understanding of the government’s development plans across Auckland and to update the Auckland Transport Alignment Project to align with the government’s policy direction. The purpose of this work was to develop with central government a shared understanding of the Auckland Development Strategy, identify areas of alignment, and agree steps towards a future joint work programme. Through a greater understanding of respective priorities and programmes, broad agreement was reached on changes required to finalise the Development Strategy. The output of this work is summarised in paragraphs 69-74. The purpose of the 2018 ATAP update was to ensure investment priorities reflect council’s and the new government’s strategic direction. Reaching agreement on investment priorities was necessary to help inform upcoming statutory plans including the Auckland Plan 2050. The output of this work has been incorporated into the Transport and Access outcome and into the timing of key investments in the Development Strategy. The National Policy Statement on Urban Development Capacity requires the council to prepare a Future Development Strategy. The Development Strategy in the Auckland Plan 2050 serves as the Future Development Strategy. In discussion with central government, officials advised that the Development Strategy needed to provide more detail relating to demand for housing and business land, minimum dwelling targets, feasible development capacity, infrastructure constraints, and future development capacity. In response, staff recommended that additional and updated information on growth and capacity be incorporated. Auckland Transport, ATEED, Regional Facilities Auckland (RFA), Panuku Development Auckland and COMET provided formal feedback on the draft plan. In general, these CCOs supported the strategic framework (outcomes and focus areas) across the plan and, in most cases, identified strong alignment with their business activities. ATEED notedstrong alignment between its work programme and the Māori Identity and Wellbeing and Opportunity and Prosperity outcomes. It also identified strong alignment between the Development Strategy’s focus on the economic role of places and ATEED and Panuku Development Auckland’s shared work on frameworks supporting targeted regeneration. further clarity around the role of nodes and the city centre would be useful. There was also emphasis on implementation being a joint effort with the need to align Auckland Plan 2050 and central government work. Having multiple players contributing to the Development Strategy increases the need to ensure planning and investment can be targeted, aligned and prioritised. Some technical amendments were proposed across the Environment and Cultural Heritage, Transport and Access and Development Strategy content. For example, comments on the environmental risk map, reassessing some of the maps used in the Transport and Access outcome and noting that further transport feasibility assessments were required for some development areas. ATEED and RFA supported greater inclusion of sports, arts, culture, heritage experiences and recreation in the plan. A high-level summary of all feedback is highlighted below. Attachment D contains a more detailed summary of all feedback and the response to that feedback. There was general support for the need to address inclusion and sense of belonging, and agreement that the focus areas will help to achieve a strong community. The view was that the multi-cultural nature of Auckland means that this outcome is even more important than elsewhere in New Zealand. There were also views expressed that there are other more important issues to address, i.e. basic council services, housing, environment and transport. Some submitters believed the outcome was too high level and did not contain sufficient implementation detail. In addition to the above points, a significant number of submitters believed there was a gap in the plan in relation to art, culture and heritage, and associated cultural infrastructure. A small number of submitters highlighted the importance of cultural heritage to the community and the need to support our heritage institutions. They wanted these gaps addressed, as well as auaha (creativity/innovation) and related targets embedded across the outcomes. Similarly, physical activity, sport and recreation, and associated infrastructure and supporting services, were considered a gap in the plan. Submitters who identified this issue wanted physical activity, sports and recreation to be elevated in the plan. The vital role sport and recreation plays in our communities and the contribution it makes to social wellbeing and the health of Aucklanders and communities were common themes. In response, changes to three outcome areas are recommended. Under Belonging and Participation, a new “quality of life” focus area (see Focus Area 7) has been developed. It recognises a range of elements important to improving Aucklanders’ quality of life including arts and culture, heritage, and sport and recreation. Changes are also recommended to the Opportunity and Prosperity outcome to reference the contribution of the creative sector to innovation, give greater emphasis to the role of arts and culture as an attractor of both people and investment, and note the importance of growing creative skills. The Homes and Places outcome has been enhanced to acknowledge the role of public art and built heritage in reflecting the cultures and identities of Aucklanders. It has also been updated to give more emphasis to the role of green spaces in facilitating sport and recreation. There were general comments of support for the outcome/focus areas, in particular focus areas 1, 3 and 6 (children and young people doing well and investing in them, use of te reo and showcasing/celebrating Māori culture, events and language). There was qualified support in the ‘partial’ category, as well as new themes (e.g. highlighting the critical role of education in Māori advancement), and the importance of effective implementation of the focus areas. An overarching theme was that the outcome was not reflecting an inclusive approach in Auckland as a multi-cultural and diverse city, and that focusing on one ethnic group over others should not be supported. Mana whenua submissions generally expressed good support for the outcome. A common theme was the importance of engagement, relationships and a partnership approach. Regional stakeholder submissions, including mataawaka, also generally expressed good support for the Māori Identity and Wellbeing outcome. In response, it is proposed that more explanatory text be included in the front section on te Tiriti o Waitangi and obligations and decision making requirements on local government that are specific to Māori. This text is still being finalised and additional proposed changes may be tabled at the committee meeting. There was strong support for addressing the housing affordability crisis currently facing Auckland. There was consistent support for a focus on accelerating quality development at scale that improves housing choices (Focus Area 1) and creating urban places for the future (Focus Area 5). Where there was partial or no support for this outcome, it was generally due to concerns about Auckland Council’s and the government’s role and remit, and a concern and sense of despair that it is too late to fix the housing crisis. A number of minor changes are recommended in response to specific feedback points. These include highlighting the impacts of the housing affordability crisis and placing greater emphasis in the text on: leveraging existing infrastructure investments; the importance of well designed, quality developments and housing; and the need for a broader range of housing typologies. There were general comments of support for the outcome/focus areas, in particular Focus Areas 1, 4, 6, and 7 (make better use of existing transport networks; make walking, cycling and public transport preferred travel choices; a safe transport network free from death and serious injury; and a sustainable and resilient transport system). There was qualified support that a higher level of commitment is required to make public transport, walking and cycling more attractive choices for Aucklanders. No fundamental changes are proposed for the Transport and Access outcome as a result of this feedback. Several minor changes are proposed to simplify and clarify the content and to reflect specific areas of feedback, e.g. the importance of public transport being affordable and the role of park and ride facilities. The updated Auckland Transport Alignment Project (ATAP) and draft Government Policy Statement on Land Transport (GPS Land Transport) outline the transport priorities of the council and the government. These documents place a greater weight on public transport (especially rapid transit), walking and cycling, improving safety, and realising environmental, health and growth outcomes. Some changes to the plan are recommended in response. These include placing greater emphasis on Auckland’s rapid transit network, network optimisation and safety. They also include more emphasis on street design that creates vibrant and inviting places, and recognition of the broader harms of transport to health, including personal security while travelling. A majority of submitters expressed support for this outcome. Submitters were supportive of the role of education in delivering the outcomes, the importance of acknowledging that environmental protection needs to be the responsibility of all Aucklanders, and the integrated approach linking people with the environment that frames the outcome. Many submissions centred on specific topics of interest, for example, trees, climate change, water and waste. While these comments often related to short-term actions discussed through the 10-year Budget 2018-28, most were consistent with the overarching aspirations and objectives of the Environment and Cultural Heritage outcome. A number of these topics are also specifically addressed within the outcome and/or broader Auckand Plan 2050. For example, water is addressed in Focus Area 5: Adapt to a changing water future. The most consistent comments from submitters who did not support, or expressed ‘partial support’ for the outcome related to implementation: how the outcome will be achieved, the need for more specific and aspirational targets, and how the actions would be funded. Submitters expressed concerns that environmental pressures will continue if Auckland’s population continues to rise. They had questions as to whether this is council’s core responsibility and, in some cases, a lack of confidence that the council will be able to deliver this outcome. Opportunities were also identified with respect to the role of education in delivering the outcomes. Key themes from the feedback included concerns about the effectiveness of the current education system in preparing people for future jobs, the need for job growth and meaningful employment for all in the future, and concerns about the current skills shortage across different trades and industries and the inability to fill these vacancies from existing labour pools. Growth in general and the stress that this puts on Auckland and its infrastructure was a key theme. Interventions that could enable employment opportunities to be distributed more evenly across the region were posed as a solution to easing the burden on infrastructure across parts of the city. A focus on advancing Māori employment and business as a means of driving Auckland’s economy (Focus Area 3) received the most feedback and was perceived by submitters as favouring Māori over other Aucklanders. Some minor changes to text to give greater emphasis to particular points or to provide clarification are proposed. New content on the value of the creative sector has been incorporated in response to feedback on the importance of that sector to Auckland. There was general support for the multi-nodal model, nodes and rural nodes, with particular support for the latter if they have a strong employment base and good transport connections. There was support for the role of centres and some requests for greater clarification. Submitters suggested amendments to the timing, location and sequencing of some of the development areas and of some areas in the future urban zones. There was general support for the approach to business land with a focus on safeguarding important industrial land and employment areas outside the city centre. A range of responses on rural growth focused on the importance of allowing for productive rural activities and retaining rural character. Submitters expressed concern about growth occurring without timely infrastructure in place as well as the ability to fund that infrastructure. Workshops between Auckland Council and central government agencies provided a forum for developing a shared understanding of the Development Strategy. Key themes included support for the overall approach and some clarification and amendments to the nodes, development areas and remaining existing urban area. There was a focus on meeting the requirements of the National Policy Statement on Urban Development Capacity, understanding how the Future Urban Land Supply Strategy is incorporated into or aligned with the Development Strategy, and identifying how future health and education requirements will be met. Proposals to amend nodes and development areas relate to the creation of new areas or adjustments of existing boundaries. Changes to development areas include initiatives currently underway or planned for the future. For example, large Housing New Zealand holdings in Ōtara. (ii) three yearly – using a wider range of data and information to provide more detailed analysis of progress against the delivery of the plan. While there was general support for the 33 measures proposed in the draft plan, some submitters suggested additional or alternative measures. There was also feedback from some groups that the plan should contain targets to track progress and that these should be aspirational. There are a number of targets which the council has agreed to as part of other strategy and planning documents and processes, including the long-term plan. Reporting against these targets provides useful data and has the ability to inform the three yearly progress report on the Auckland Plan. To further respond to the feedback, staff recommend the development of a small number of core targets for housing, transport, environment and inclusion/social outcomes that relate to existing measures in the Auckland Plan. These targets will be developed in collaboration with central government, following adoption of the plan. The targets may then sit within the Auckland Plan or outside the Auckland Plan (e.g. other council strategic documents). The most appropriate place for their location would be agreed through the development process. The draft Auckland Plan was developed as a digital plan (website) to improve accessibility and the ability to keep the plan ‘live’ and up to date. Feedback on the effectiveness and usability of the website was collected through the consultation feedback form and through ‘was this page useful’ functionality at the bottom of each web page. “what’s new” section – to allow news and updates to be easily communicated and shared. More detail on the proposed changes can be found at Attachment E.
How many “wins” did I get from the list above? Taking the NPS UDC out of the mix (as the Government needs to handle this one) I got a 7/8 or 87.5% “win” rate of my submission points (except the Parks rewrite) being “executed” into the Auckland Plan 2050. For me this is brilliant news and it demonstrates (for the benefit of a certain Mr James Halcrow) submissions and advocacy can and does work in our democratic institute. The ‘Targets’ point (there was quite strong feedback from others like Greater Auckland) is being sent away to be drawn up with in coordination with Central Government given they are partners with things like Housing and the ATAP. Transport given the ATAP is taken as a win as the Southern Airport Line sits in Decades 1 and 2 (with advocacy to get it all into Decade 1 like the Northern Airport Line) and Mill Road is also a go. A big thanks to the Auckland Plan team working day and night getting the Auckland Plan 2050 put together reflecting often strong feedback. Now it is up to the Planning Committee to seal the deal today and get those Targets set up in coordination with Central Government sooner rather than later!